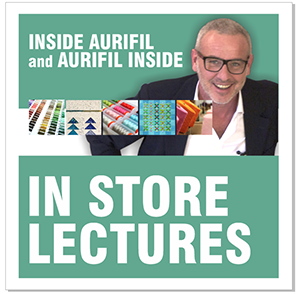 I’m Designer, Author, an your host for this program, Pat Sloan. This year we challenged each designer to create a block inspired by ‘A tradition’ and I asked them to use red & white fabrics with just a splash of a color of their choice. 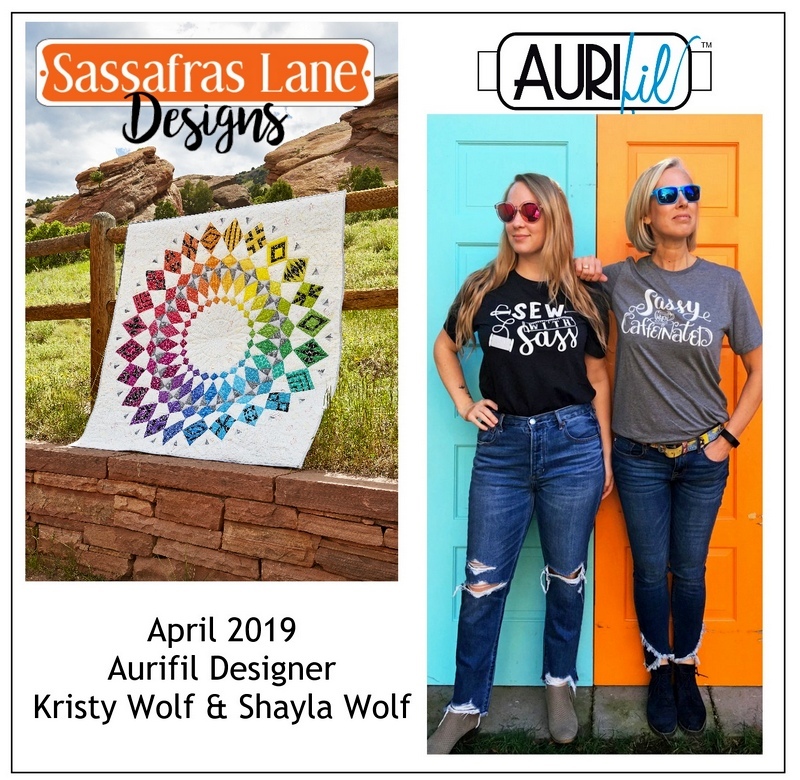 They dynamite duo of Kristy Wolf and her daughter Shayla Wolf are the creative team that makes Sassafras Lane so amazing! 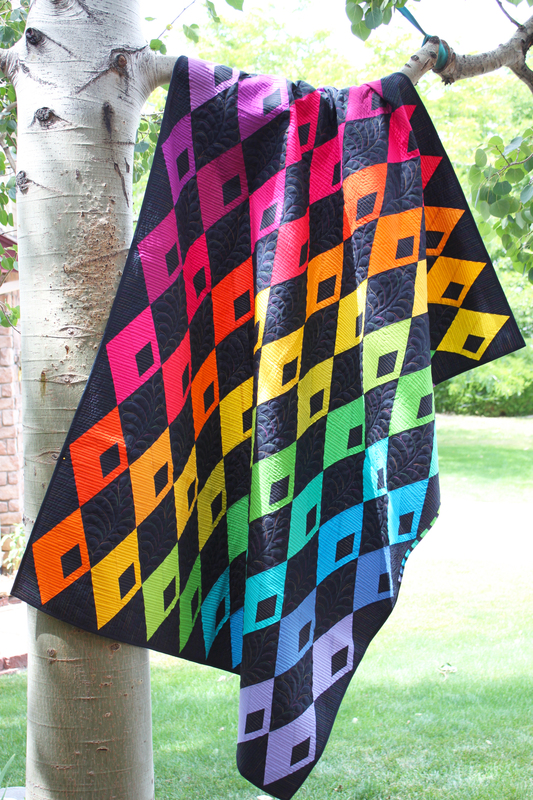 I’m always inspired by the new fun quilts and materials they are working with. Remember we have a Challenge portion of our Designer of the Month interview. 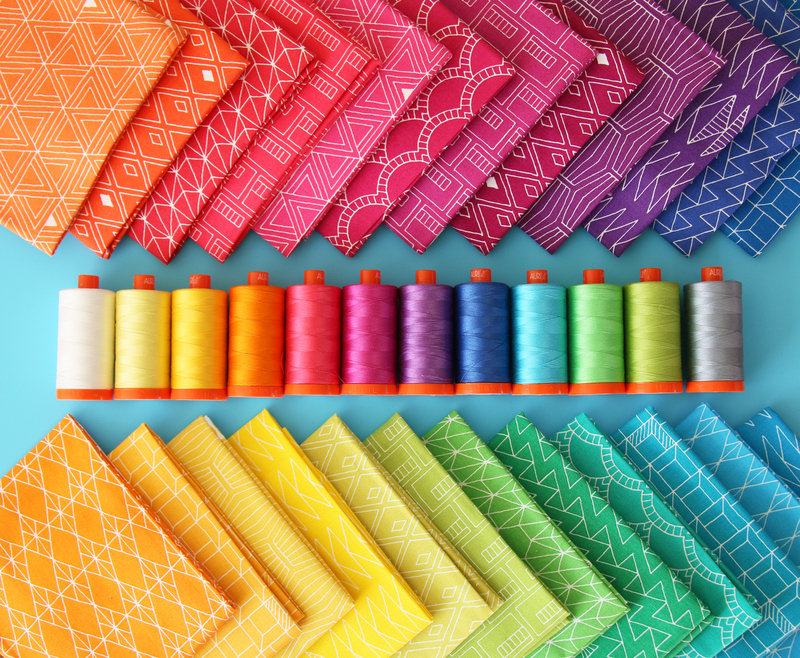 Each month we select one random winner to receive a 12 LARGE spool BOX of Aurifil thread for just making the challenge block and sharing it! Details at the end plus last month’s winner! 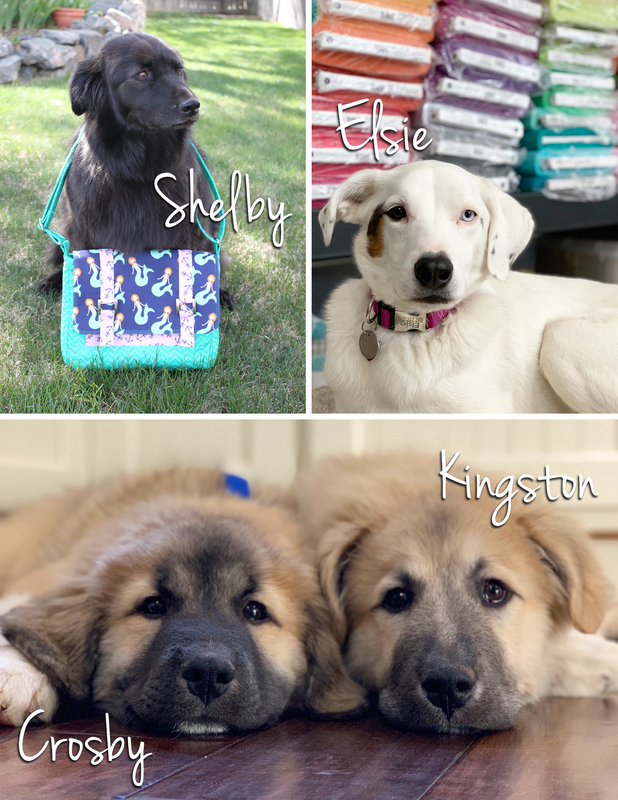 Let’s get to know Kristy and Shayla! Kristy: We moved to the Seattle area a couple years ago and absolutely love it! We convinced Shayla to move up here and she is currently in the process of moving, so the entire Sass team is here now! Our favorite place in town is Lake Washington. When the weather is nice, you can usually find us there on kayaks with the dogs! 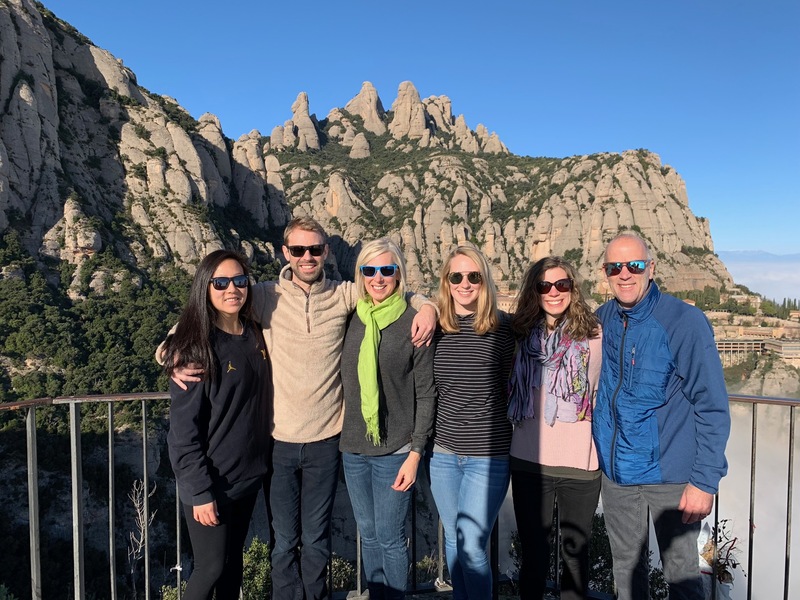 Shayla: I am new to the Seattle area, so I don’t have a favorite spot quite yet, but as a family we love to paddle board and kayak with the pups during the summer and wine taste all the local WA winery tasting rooms! 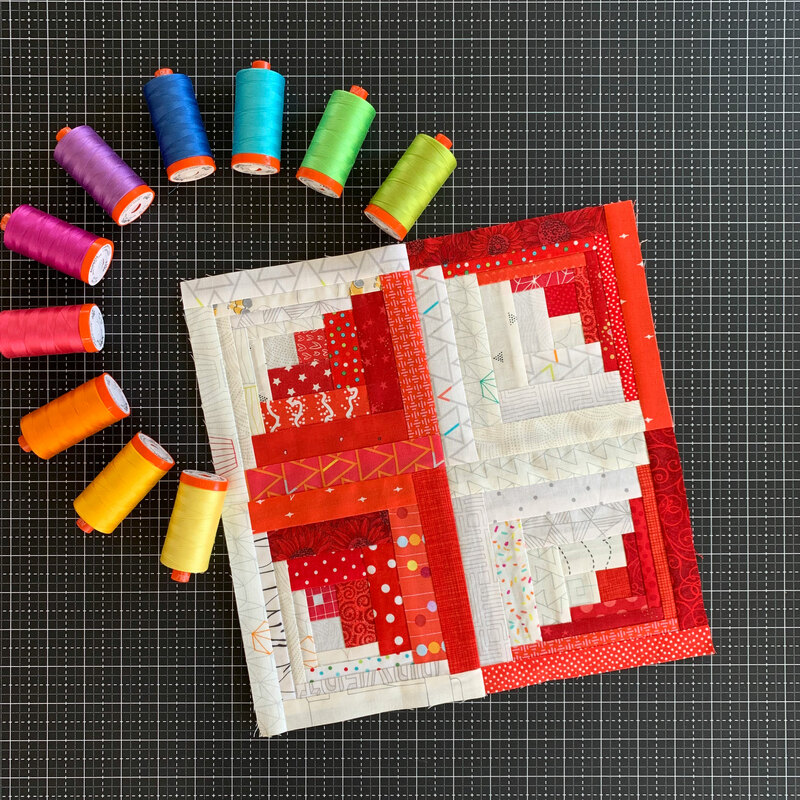 Kristy: I grew up sleeping under a red and white quilt that my Paternal Grandma made and loved – it was hand quilted, and I suspect hand pieced as well! 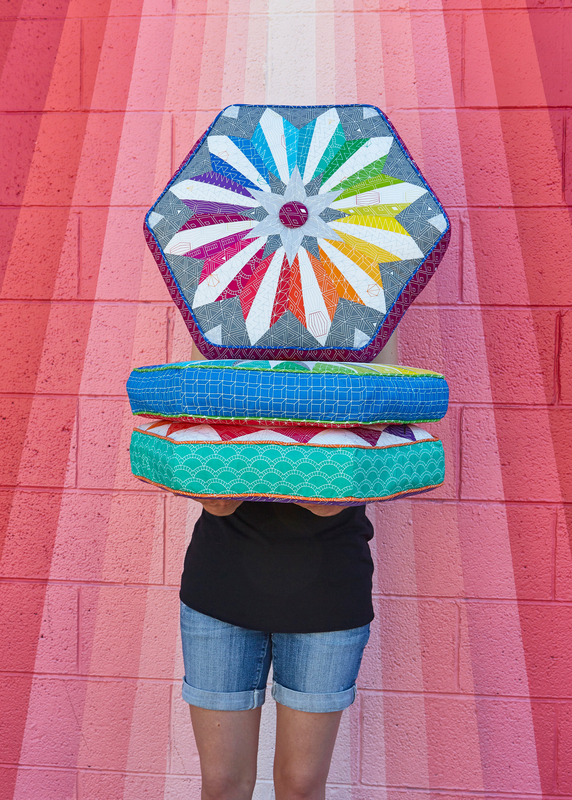 Shayla: I grew up around quilting and as long as I can remember always want to be in the sewing room creating with my mom and grandma! 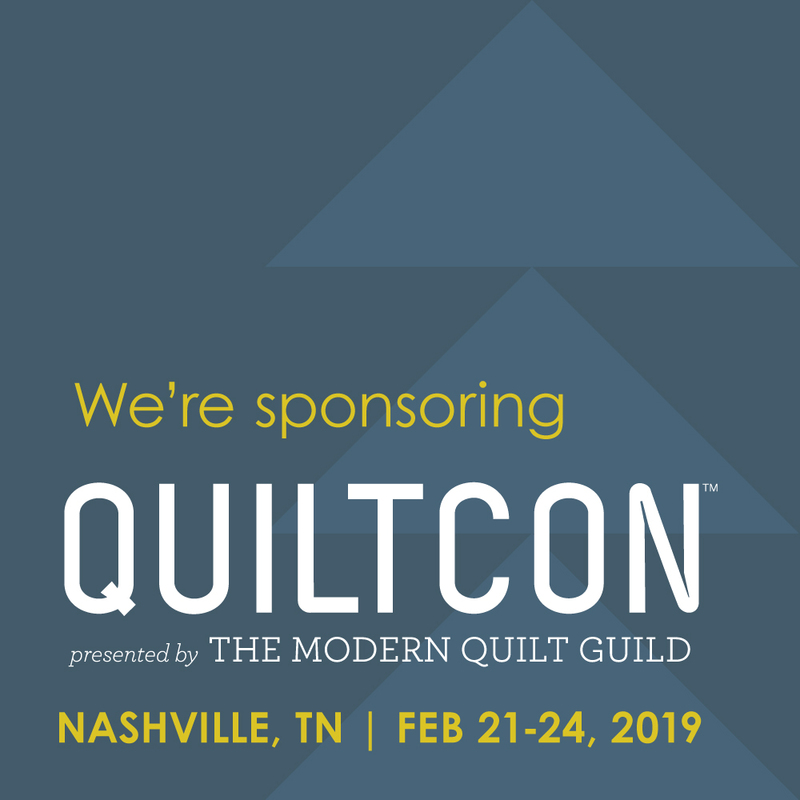 I went on to work at a local quilt store during high school, then at a quilting magazine after college before my mom and I started Sassafras Lane Designs. 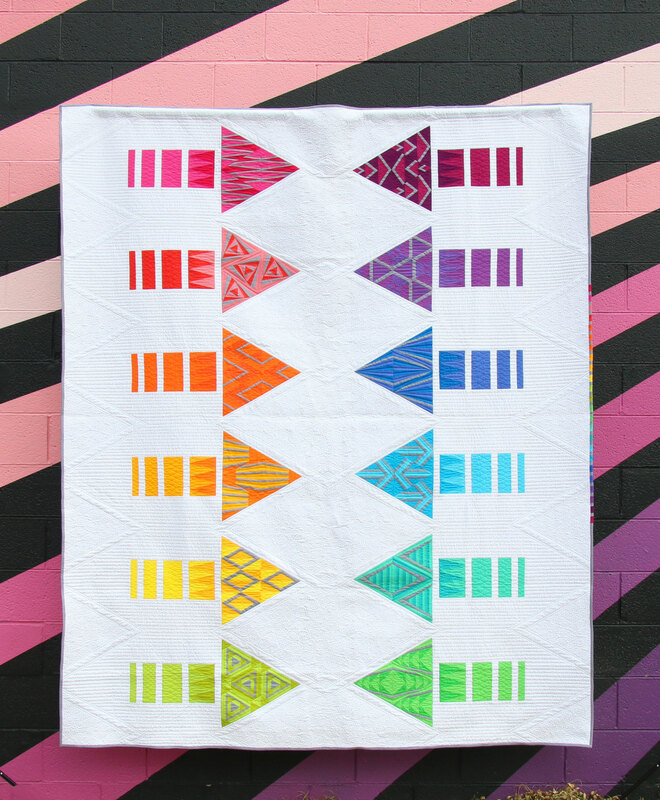 I fell in love with the duality of quilting – there is a logical side and a creative side, so you get to use both sides of your brain! Kristy: I love puzzles and problems that need solving, I’m a little like a dog on a bone in that regards. When I’m designing a bag, it starts in my head and as the design takes shape, the challenge comes in how it can actually be sewn and look like it does in my head. It’s usually when I’m on a walk that it all falls into place! Shayla: Starching makes everything better! Well not everything, but almost! I find that if I take the time to starch my fabrics before patchwork, appliqué and foundation paper-piecing, it all goes much smoother! 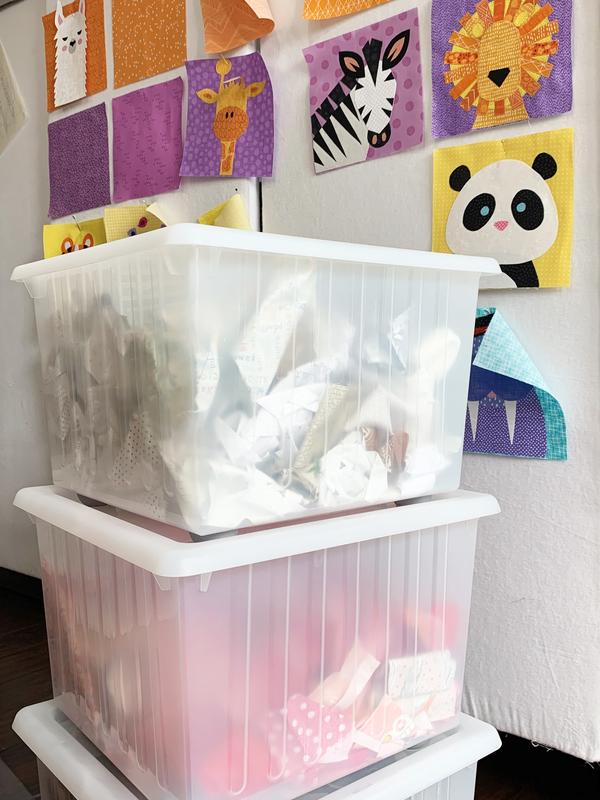 Kristy: My studio is good sized and usually totally scattered with the latest project. 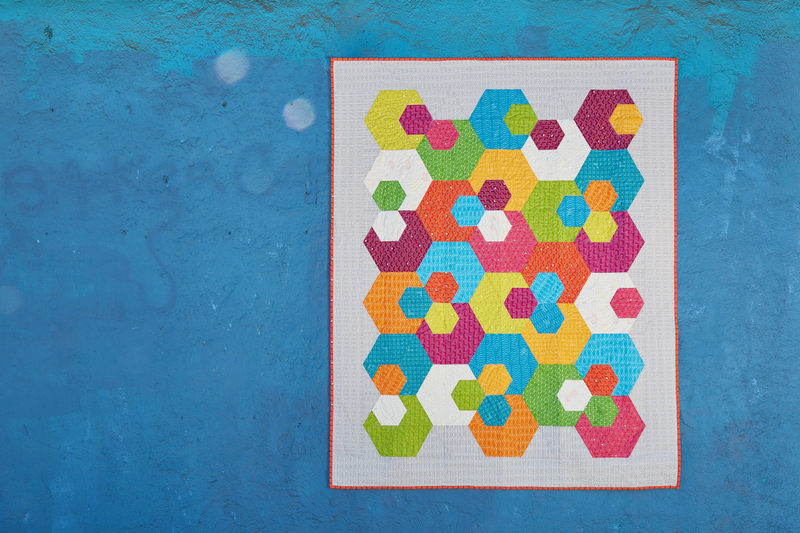 Our first version of our new quilt patterns is almost always made from our scrap bins, which lends itself to lots of creative clutter. The studio is on the third level, full of windows and is what was formerly a tv room. We added lots of shelves for fabric and quilt samples, reworked some Ikea tables so the sewing machines sit lower than the table and repurposed some Ikea stand alone kitchen workstations to create a cutting area. Shayla: I am currently invading my mom’s studio and it is pretty amazing! My last apartment had a spare bedroom that I used as a sewing room. It was nice to have a designated creative space! What is new in the land of Sassafras Lane? Shayla: We are currently working on our next self-published book, Zootropolis. It features 32 different appliquéd animal characters and will be out this Spring! 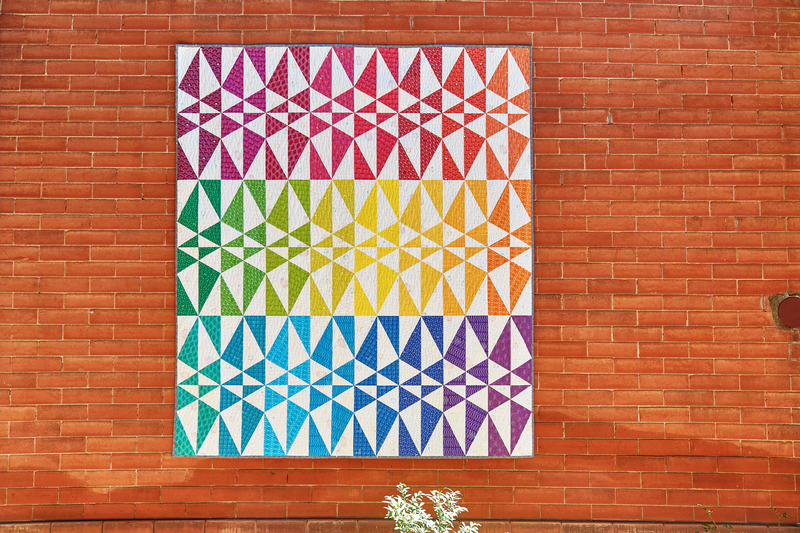 We have published a few books in the past, but they were all Block-of-the-Month paper-pieced patterns, so this one it is very different for us! We are pretty excited! 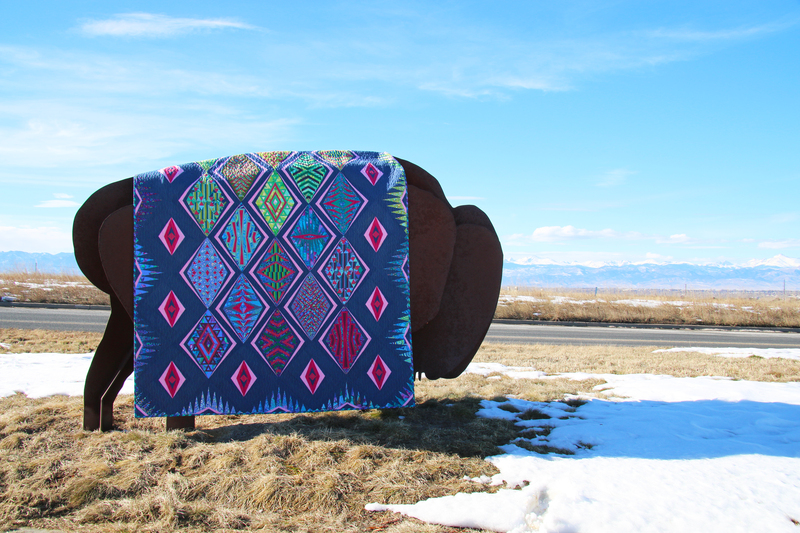 I also have a new fabric line that is shipping to stores this summer, Good Vibes Only. 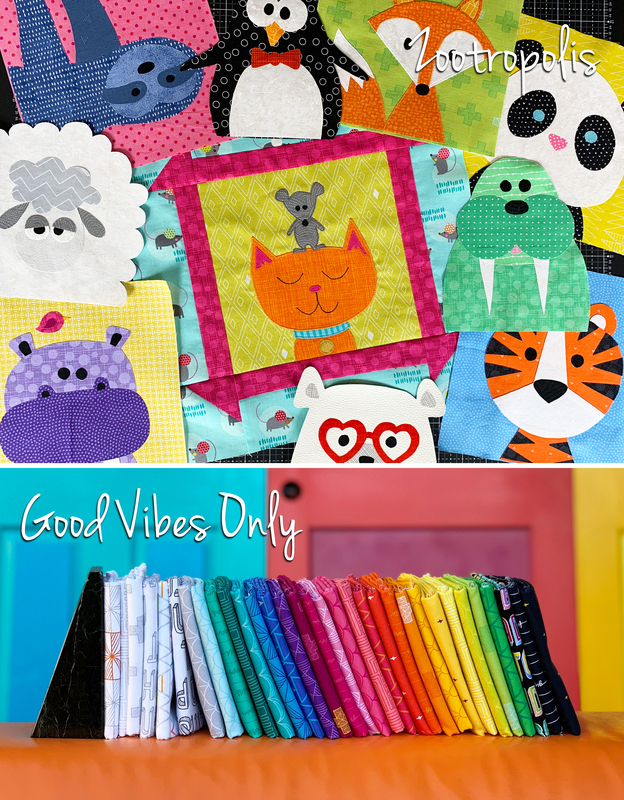 It is my second line with Windham Fabrics and is all about adding a bit more positivity to the world. Shayla: You mean besides fabric, right? I have been bringing Starbucks mugs back from my travels since I was in high school and now I have quite the little collection of the “You are Here” mugs from Europe, South America and lots of US states. Kristy: Cold Play Imagine Dragons, Ed Sheeran, GooGoo Dolls and a mixture of cheesy 80’s & 90’s tunes. Shayla: I bounce between so many different genres and artists depending on the day, my mood and what kind of work I am doing! For computer work, my go tos are a little folksy, like Grace Potter, Vance Joy and The Lumineers. For sewing, I like a little something that will get me dancing on the way to the iron and back, like Queen, Taylor Swift and Zedd! Are you a Dog, Cat or ‘other animal’ person? Kristy: I am a committed dog person! Right now we have an 11 year old Border Collie mix, Shelby, and a silly rescue pup named Elsie. We are also currently puppy sitting litter mates Kingston and Crosby who belong to my son and youngest daughter. Shayla: Cats are cool, but I sit solidly on the dog side. I grew up with dogs and my retirement plan involves a little house on some land, surrounded by dogs! Our current work day includes puppy sitting 2 four month old Great Pyrenees/German Shepherd pups who make it incredibly difficult to get any work done! Kristy: I don’t think I have a favorite book – I loved The Alienist with the introduction of forensics, although fiction, the author threaded history into it, and for the same reason Devil in the White City, but I am constantly listening to a book when I quilt, so I read (listen) to a bunch! Shayla: The Great Gatsby is my all time favorite book. I adore Fitzgerald’s writing and reread his works over and over. Kristy: ”No one can make you feel inferior without your consent” by Eleanor Roosevelt, and really anything Eleanor Roosevelt, said she was a very forward thinking person! Shayla: “The mountains are calling and I must go” by Oscar Wilde. I have always found comfort, clarity and creativity when I am in the mountains, away from the commotion of cities and civilization. Shayla: That quote above and “Don’t let all the bought air out” are repeated pretty regularly in our family! Shayla: Popcorn. And I eat far too much of it! About your block – What Tradition are you celebrating? 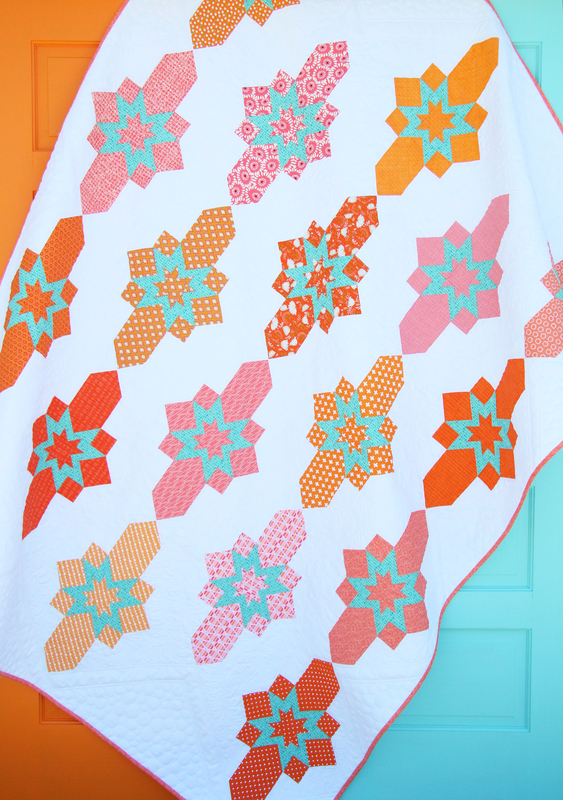 Shayla: The first project I have very solid memories of sewing with my grandma was a pink and green log cabin quilt. So, we decided to do a twist on the traditional log cabin that represented our not-so-traditional dual design team! We are two halves that make a whole and that is represented in our block, Tradition with a Twist. 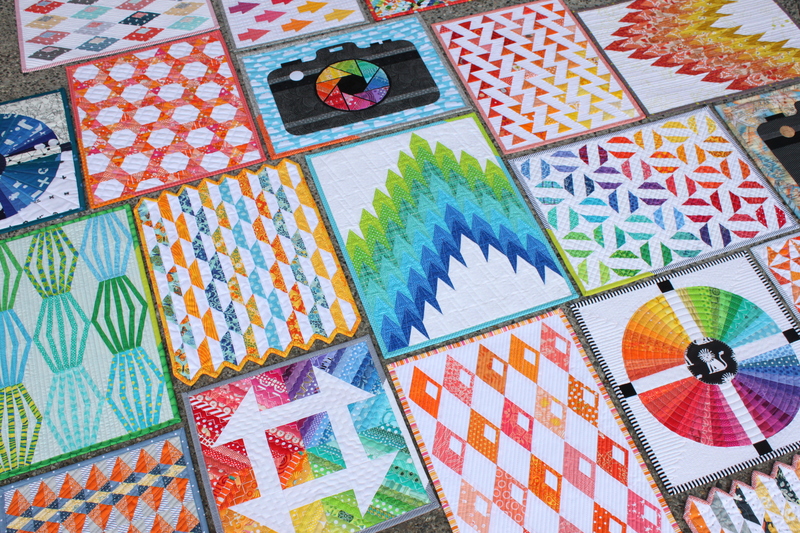 Each year I make the Aurifil blocks in a totally different set of fabrics. This is my group for the year. 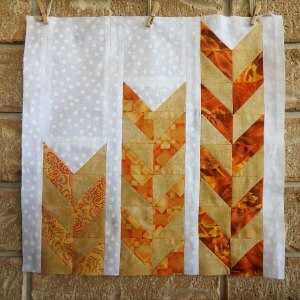 Pat’s TIPS – CLICK TO MY Website to see my April block AND all the Designer blocks together!